Two days prior, she had just flown in from Australia, fresh from ABT's first season in Brisbane where critics lauded her performances in Twyla Tharp's Bach Partita and Alexei Ratmansky's Seven Sonatas. Arguably the most versatile of ABT's current crop of soloists, the coolly elegant Abrera tackles the classics and more hard-edged contemporary work with refinement and aplomb. Finely etched body lines, delicate, precise footwork and exquisite épaulement are Abrera's trademarks - though she also has a great flair for comedy, evident in her uproarious portrayal of Hermia in The Dream, Frederick Ashton's distillation of A Midsummer Night's Dream. 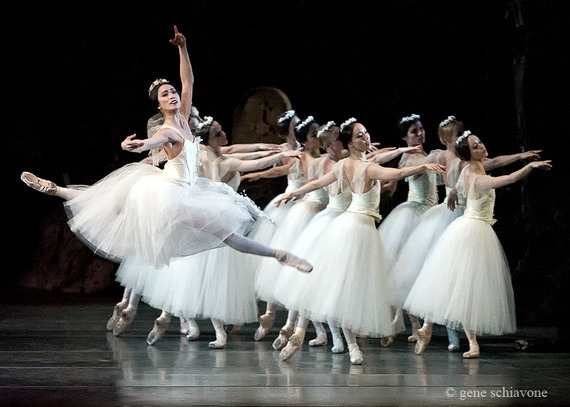 One of her best known roles is that of Myrta, Queen of the Wilis, in Giselle. Between the hours of midnight and dawn, these specters of jilted maidens, who died before their wedding day, prowl the woods and torture unsuspecting men. Behind Abrera's steely self-assurance as Myrta, we sense a tragic grief. Adding to the gala performance buzz will be Abrera's return to the Philippines, where she was born and where she still has strong family ties, though she grew up and trained principally in California. Gold medal award winner at the Royal Academy of Dance's Adeline Genée Awards in London in 1995, Abrera joined American Ballet Theatre the following year. She and her husband Sascha Radetsky performed the Giselle Act II pas de deux on tour with Daniel Ulbricht's "Stars of American Ballet" last summer. But, she notes, "preparing the full-length ballet is a far more fulfilling experience. Telling the story from the beginning, with a full cast of players, allows everyone in the theater, including myself, to become invested in the characters. When Act II comes around, the atmosphere is more magical and heart-rending. I feel I can more fully flesh out my characterization of Giselle when I can tell her story from beginning to end." This homecoming is poignant for Abrera for another reason: "Soon after I received the invitation to dance in Manila, super typhoon Haiyan ripped through the Central Philippines. The reports of devastation and suffering were staggering, and I knew my upcoming visit to the country needed to somehow contribute to the relief effort." Abrera learned that child labor rates - already high in that part of the world - are rising in the typhoon-hit areas, as many children have been orphaned, families' livelihoods threatened, and schools destroyed. Increasing access to education for the children affected by the typhoon is a top priority in combating rising child labor rates. However, the current conditions for education are sometimes verging on hazardous. Many classes are held in overcrowded, makeshift schoolhouses, and basic supplies are scarce. Abrera has partnered with Operation USA to help them rebuild Guiuan's essential infrastructure. She formed Steps Forward for the Philippines, a charity charged with providing material and supplies for their new school. Friends, fans and fellow dancers have responded to Abrera's appeal to "step forward," and to date a little over half of the $30,000 she is targeting has been raised. One of Abrera's strongest supporters in this campaign is fellow ABT dancer, James Whiteside, who travels with her to Manila to partner her in Giselle. He dances the role of the perfidious Prince Albrecht, who pretends to be a commoner so he can woo village maidens, even while engaged to a noblewoman. Whiteside has danced many iconic lead male roles since he joined American Ballet Theatre in 2012 from Boston Ballet. (Ballet to the People was particularly moved by his interpretation of the Artist in Alexei Ratmansky's Chamber Symphony, from the epic Shostakovich Trilogy.) The pair will be supported by Ballet Philippines' Rita Angela Winder as Myrta and Richardson Yadao as Hilarion, the feisty gamekeeper whose love for Giselle goes unrequited, and who is sent dancing to his death by the fearsome Myrta and her gang. 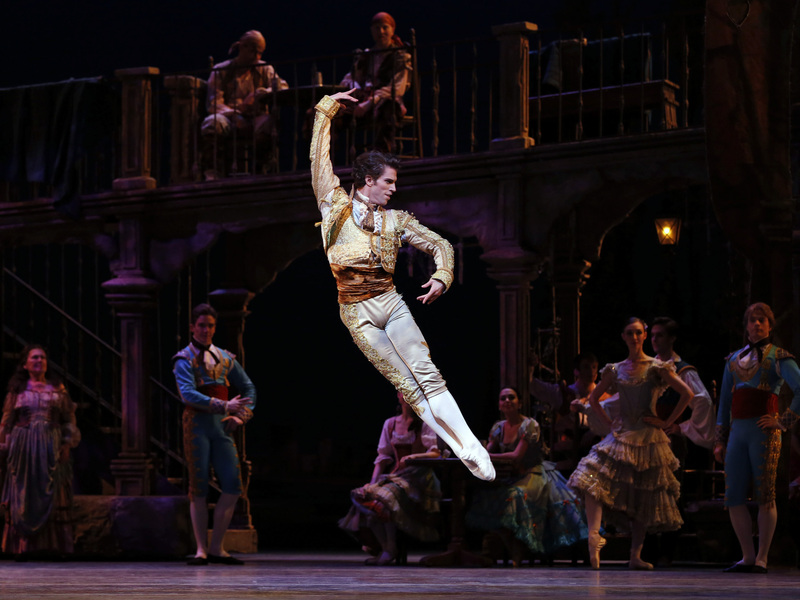 Abrera and Whiteside headline the gala performance of Giselle on September 19th. Ballet Philippines' Katherine Trofeo and Jean Marc Cordero, Denise Parungao and Earl John Arisola will take over the roles of Giselle and Albrecht for the remaining four shows through September 21st.